Unplanned will alter your perspective on abortion by personalizing it. It’s too easy to think about abortion as just something that affects other people. It’s time for us to realize it has affected most of us in one way or another --even if that’s just in the vast numbers of people who are missing in our society because they were never born. This movie doesn’t flinch from depicting abortion. Sometimes I had to glance away from the more graphic scenes, but that’s our normal reaction to the topic of abortion, isn’t it? We want to look away. It goes on around us every day but we’d rather not know. Maybe it’s time we take a hard look at what abortion really is. 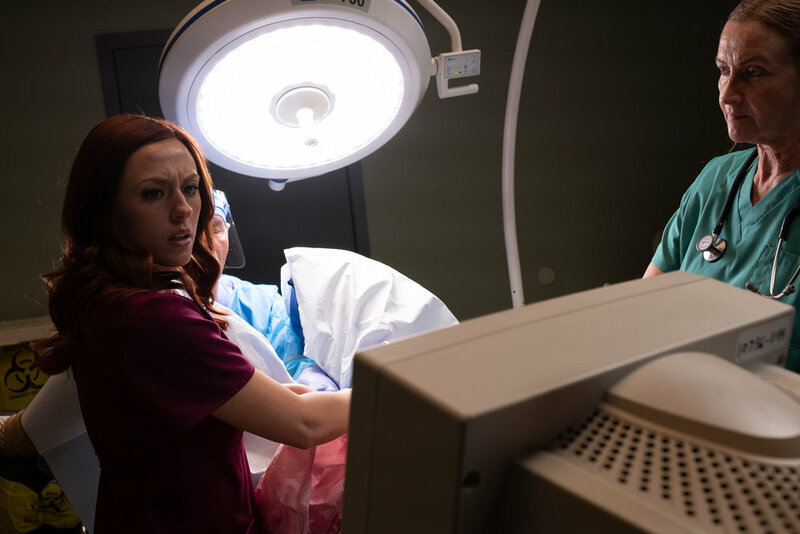 Unplanned puts the grim reality of abortion smack into our faces through the eyes of Abby Johnson, a former Planned Parenthood clinic director turned pro-life activist. The scene that earned Unplanned its R rating, as well as Abby’s change of heart, appears in the first few minutes. During an abortion, Abby sees an ultrasound image of a fetus (computer generated for the movie) recoil in pain from the abortionist’s instrument before being sucked out of the womb, leaving behind an empty space. Abby is shocked into realizing that the fetus is a baby and that baby is gone. The rest of the movie is mostly flashbacks, leading us up to that moment, but don’t think that means you’re done with abortion scenes. Abby herself has two first term abortions. Her first abortion was surgical but she used the abortion pill (currently the most common method) for her second. These scenes were uncomfortable to watch as I sat between my husband and my teenage son, but maybe it’s important for men to realize what an abortion is like physically. Men don’t know about this, and women don’t want to talk about it, even to each other. As Abby said, she locked those experiences in a box in her mind. This movie may be especially traumatizing for some women who have had abortions, but it may also be freeing for others because Unplanned pulls aside the curtain and lets everybody know what’s going on. An Orthodox friend told me that she feels like it’s the unforgivable sin because it’s the one sin you never hear about in church. Locking it away in an emotional box is a common coping method. Being able to talk about it may be a first step towards healing. After her second abortion, Abby continues to volunteer at PP. That may seem odd to some viewers because the abortion was clearly traumatic, but it could have been her way of locking that memory box even tighter. If abortion is a way of helping women, she doesn’t need to feel guilty or ashamed about her abortions. As she slams the door on those memories, she keeps it shut by convincing others that it’s a good decision for them, too. Unplanned depicted most of the PP workers as likable women. They compassionately shield women seeking abortions from obnoxious yelling protestors. The workers seem to really believe that they’re doing a morally good thing. They think abortion empowers women by freeing them from bearing the difficulties of an unplanned pregnancy so they can make their lives, and the lives of the children they might already have (60% of women who have abortions are already mothers) better. However, the abortion scenes are the opposite of empowering, and show the reality behind those deceptive words. It’s tragic to make one life “better” by ending another. The people in the movie holding prayer vigils outside the fence are not protestors. They’re there to pray for the babies, mothers, families, and yes, the clinic workers. They acted just like the people at prayer vigils I’ve been to. I read one review which claimed the prayer vigil people were implausibly doe-eyed, but that’s exactly how the 40days for Life people are. They’re idealistic, gentle people who are willing to stand for hours on the side of the road praying for others who often resent them. As Abby continues moving up the corporate ladder at her clinic, we get to experience an insider’s view of PP. That is a powerful part of the movie and may help some pro-life people understand why women choose abortion. It may seem unbelievable to many that Abby could be complicit in over 20,000 abortions and then suddenly change her mind in a moment, but that is her story. As she comes to grips with this, she broken heartedly repents, heals and experiences the mercy of God. Abby Johnson has a compelling life story, but telling it over and over must feel penitential. It reminds me of what Elder Ephraim wrote in his book, The Art of Salvation, about women who have had abortions remembering their baby and shedding tears every day. Elder Ephraim wrote that the tears bring repentant love, healing and reconciliation. Abby has to deal with her own abortions (and those she was complicit in) every day, but by doing so, God is transforming her story from despair into a life that helps many other people and saves other people’s babies. Unplanned isn’t perfect. It had a little too much Christian Contemporary Music for my taste, but I read that the filmmakers had a hard time finding people willing to let them use their music. There’s a cameo by the My Pillow guy that made the audience cheer, while I rolled my eyes a bit, but if you remember that Uncle Tom’s Cabin was also heavy handed on emotional moments yet it helped free slaves, maybe those drawbacks are unimportant. God’s people should not look away from the murder of innocents that is happening right now in our society, and Unplanned depicts abortion in an unforgettable and authentic way. 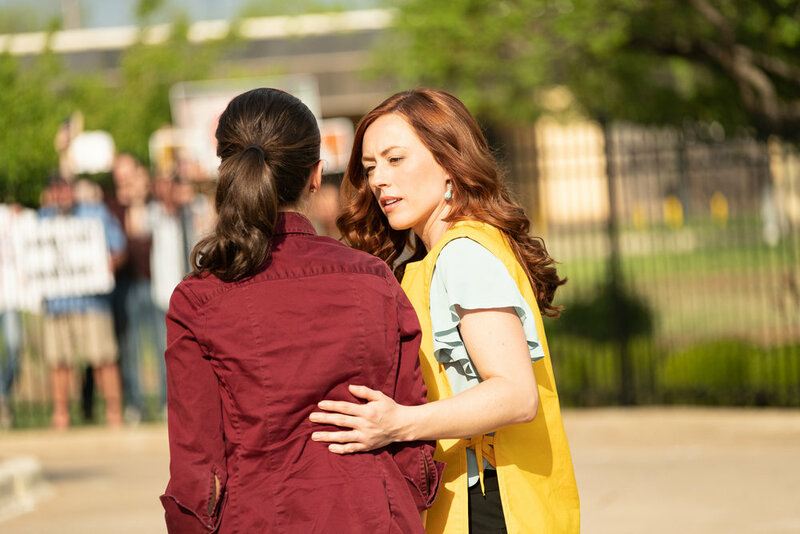 Unplanned’s web site has resources for churches to use to promote seeing the movie, showing the movie at the church, and also for getting help for those who have been hurt by abortion. Many of these resources are perfectly appropriate for Orthodox Christians to use. Bring tissues, but go see this movie.